After what has felt like a lost week, I am finally starting to feel human again. It started last weekend with a tooth that has been sensitive to cold for quite a while. It finally got tired of being ignored and got very, very angry. My dentist called in an antibiotic and pain med until he could see me on Tuesday. That meant several days either doped into zombie status or experiencing excruciating pain. So I mostly stayed zombie. On Tuesday he took x-rays and said I needed a referral to an endodontist. Around here that often means a wait of several weeks, but I was very lucky and got an appointment on Thursday. That meant several more days of living in a fog. By Wednesday the Vicodin was not working so well, and I was dopey and in pain! The root canal on Thursday was actually a piece of cake and I'm feeling a lot better. There is still some residual pain, but it's easily knocked down by Ibuprofen and the doc said it should feel a little better every day. What's not feeling better is my savings account. Paying for the whole fiasco was a shocker!! As soon as they're dry, I'll wind them into balls and do a gauge swatch. I'm hoping I can get a good gauge to do the Beech Leaf Vest and have ordered the pattern. But here's the best part – look at the label! Now the girls have their names in their dresses. Of course, Izzy may not be so thrilled. For months she was "Diego" and now she's "Indy" (Indiana Jones). Not sure when Izzy or Isobel will make an appearance again. Happy Easter to everyone. Enjoy a wonderful day celebrating the resurrection of Christ! He is risen! He is risen indeed! So glad your dental ordeal is over. 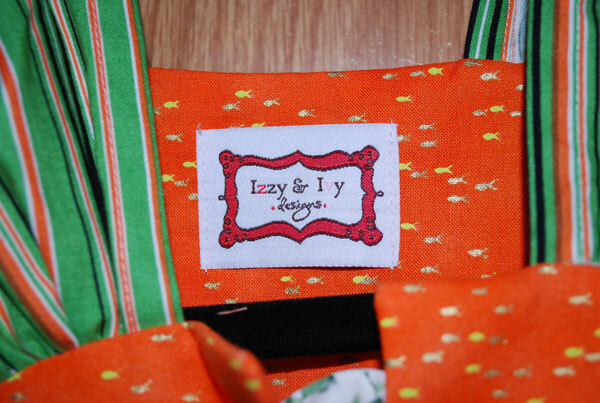 That is perfect that a design company is named after your granddaughters! ;-D What adorable patterns. I’ve never had dental pain, but I have heard that it is HORRIBLE. So…good that your ordeal is over! Nice to know spinning high works too! LOL! 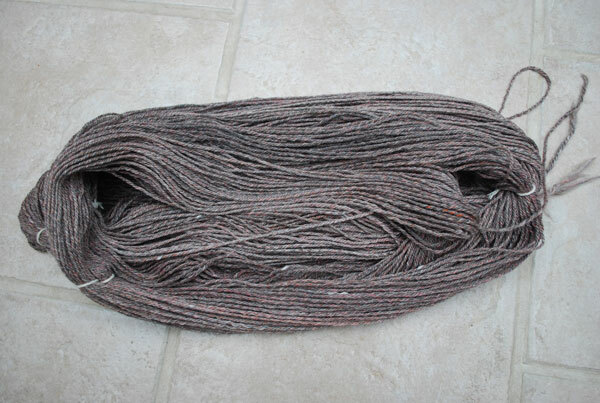 Lovely yarn, btw. Anxious to see your end result. You are doing fantastic. Cute patterns – makes me hope that BG2 is a girl! (Not even on the way yet, but being discussed for this fall!!!). 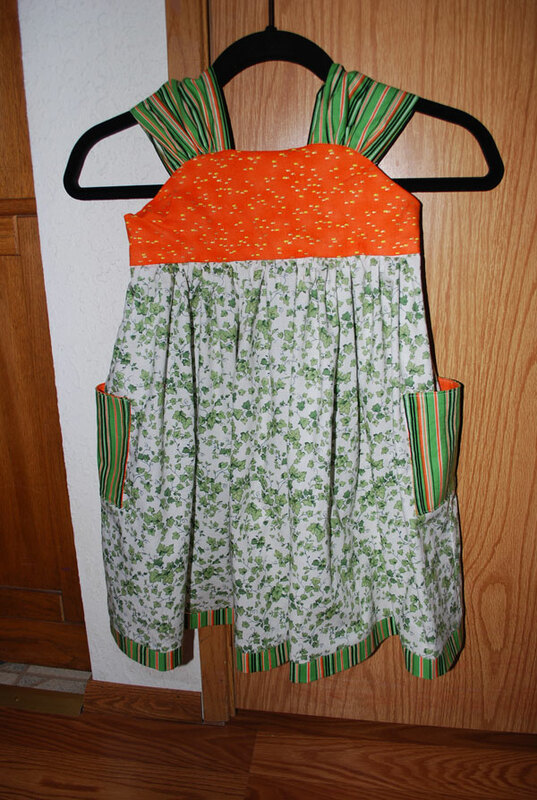 I don’t think my BG would look good in ruffles….but I’m sure your girls do! Sympathy! It’s always good to start feeling human again. Glad they were able to get you in quick to start the drain on your bank account. The little dress is adoreable. We will get to see modeled pictures? Right? Looking forward to that. I’m sorry you had the dental pain – hopefully you will soon (very soon) be on the road to recovery and back to normal. Hope you had a wonderful Easter. That little girl’s dress really IS adoarable. Ouch. I really despise having dental issues. I’m glad it’s getting better. Your spinning looks good, as do those dresses! Dental pain is THE worst pain… Glad you’re on the mend. 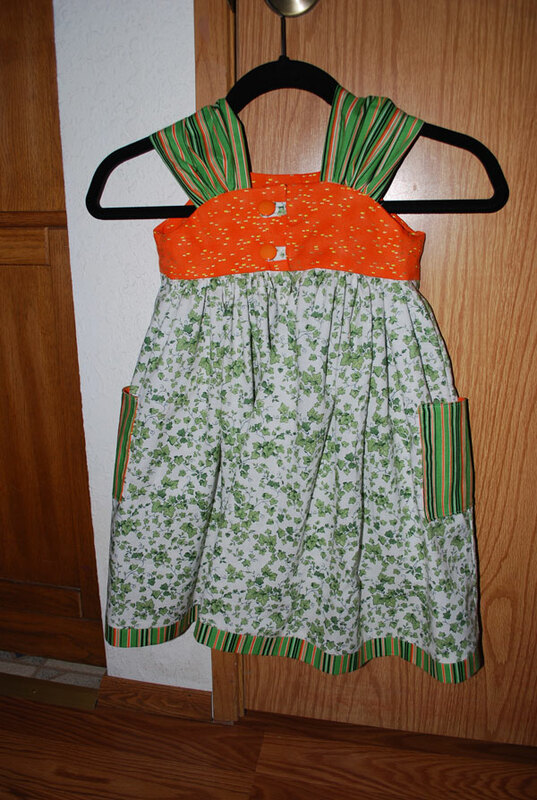 Sweet dress – little girls are so much fun to sew for! It’s so awful that you have to get angry in order to get your tooth fixed… *sigh* I’m a wimp when it comes to pain.